Did you get your free iced tea today? So it turns out today is National Iced Tea day! 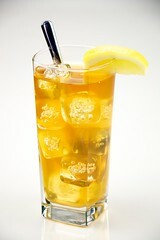 Well it’s National Iced Tea Month as well, so don’t feel like you’ve missed it. We won’t start the argument whether or not it should come sweet or not. Or should we? Here are some places where you can take advantage of the iced tea giveaways that are happening this week. There are also lots of local freebies out there – so keep your eyes peeled this month.